Welcome to Butlers in the Buff and thank you for visiting our website. We hope that your experience with your Butler in the Buff is a fantastic one! 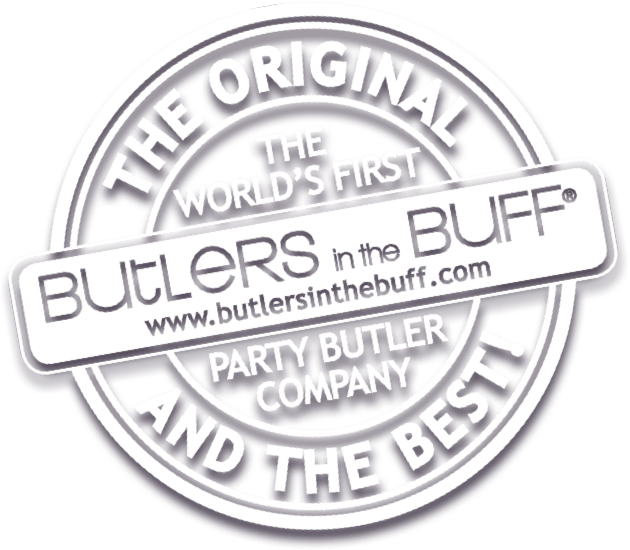 Butlers in the Buff are hunky, fun, party butlers! Handsome and charming servers to mix your cocktails and ensure you don’t lift a finger. Perfect for any occasion (or excuse) to get together with the girls. You don’t need a mansion to have your own personal party butler. Butlers in the Buff serve in private homes, hotel suites and even poolside or on the beach. Book your scantily clad server for birthdays, bachelorettes, baby showers and even divorce parties! Celebrate in style and without fear of shocking or embarrassing performances. Get your party Butler involved in your games! Your butler will also be available to help host your party games, he’ll happily be your quiz master or award prizes. Butlers also make the perfect model for the build your wedding dress game, or you can stick inflatable “things’ to him!. We invented it nobody does it better! After its inception in 2001 by Jason Didcott, the founder and original butler, Butlers in the Buff has taken off in over four countries across the globe. Following 15 years in the British Royal Navy, Jason had the fantastic idea of having muscular, fit and charming men serving women at their bachelorette parties, birthdays and girls nights tastefully wearing only a collar, cuffs, bow-tie and the now famous bottom revealing apron! Experts in etiquette, Butlers in the Buff are…. Toned, tanned and true gentlemen in every sense of the word. Your butler will fulfill duties from mixing your favourite cocktail, helping with your party games and even feeding you chocolate dipped strawberries. Of course all while wearing only very little-just a bottom revealing apron, collar cuffs and bowtie! A truly unique experience that’s charming, innocent and just a little cheeky. After all you and your guests deserve the best! Butlers in the Buff has recruited hundreds of hot guys, received great press coverage and has a huge following on social media. We know that this is in part due to not only our fantastic butlers but to our commitment to great customer service and our core values as a company. Your party is as important to us as it is to you. Jason is now CEO of Butlers in the Buff with offices and franchises running in Canada, the United States, United Kingdom & Australia. Bachelorette parties, bridal showers, baby showers, girls nights in, birthdays and divorce parties. We also supply guys for TV appearances, tradeshows and promotional events.